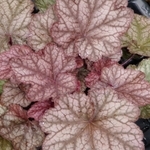 Introduced in 2008, heuchera 'Beaujolais' is a super vigorous variety with large 5" burgundy leaves. 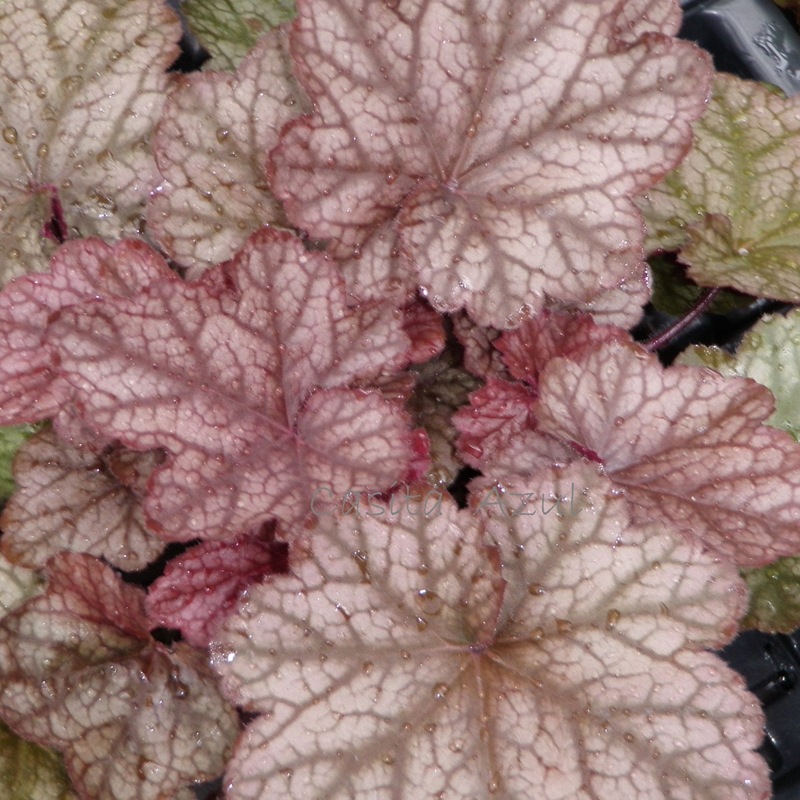 It's beauty is accented by dark purple veins and a silver overlay. Very tall 24" flower stems appear mid season. 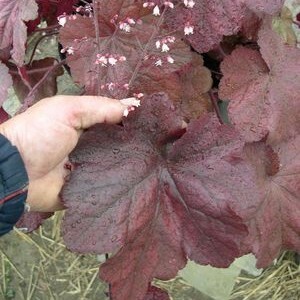 This coral bells is different from other plum colored varieties by its unique color, tolerance to heat & humidity and its vigor. A choice selection. Alum root. PP#19577. MATURE HEIGHT: Foliage 12". In bloom 24". FLOWER: Cream, early to mid season. 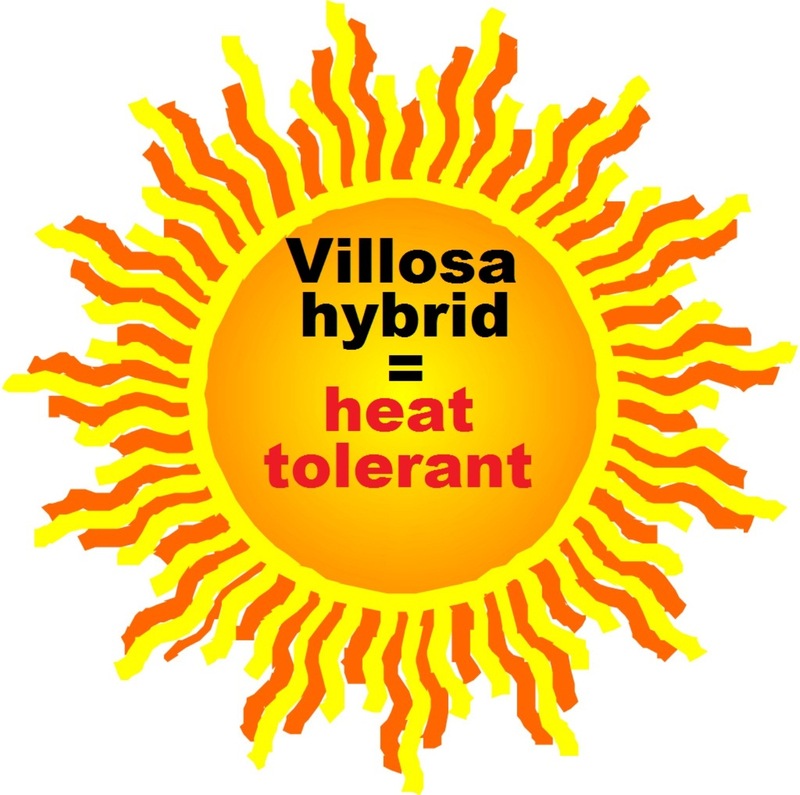 SUN EXPOSURE: Full sun to full shade.